Closely related to chicory, dandelion is a common plant worldwide. The plant grows to a height of about 12 inches, producing spatula-like leaves and yellow flowers that bloom year-round. When dandelion plants mature, their flowers turn into the characteristic puffball containing seeds that are blown about in the wind. Dandelion plants are grown commercially in Canada and the USA. Their leaves and roots are used in herbal supplements. • Dandelion plants are used to treat skin problems such as eczema and acne. • Help the digestive system and help to detoxify the liver. • Good source of fiber, iron and calcium. There are many different types of dandelion greens that you can purchase. The leaves can be a bit rounded or quite pointed and the stems can be either red or white. But it is the size of the leaf that is most important to look for when buying dandelion, the larger leaves are bitterer. When you get the greens home, don’t wash them until you are ready to use them, washing them can bruise them and cause them to decay. Simply wrap them in a damp paper towel and put them in a plastic bag. The greens will keep in the refrigerator for about 5 days. Once you are ready to use them, they must be washed carefully because they can be quite sandy. To wash dandelion greens, fill a large pot or bowl with cold water and place the leaves into the bowl. Place a strainer next to the bowl and pull the leaves out and place them in the strainer. Rinse the bowl, refill with water and repeat until they are clean. Delicious tossed raw into salads where they add spice and interest. Lightly boiled, sprinkled with salt and a bit of cider vinegar make an easy and delicious side dish. Lightly sautéed with bacon and garlic. 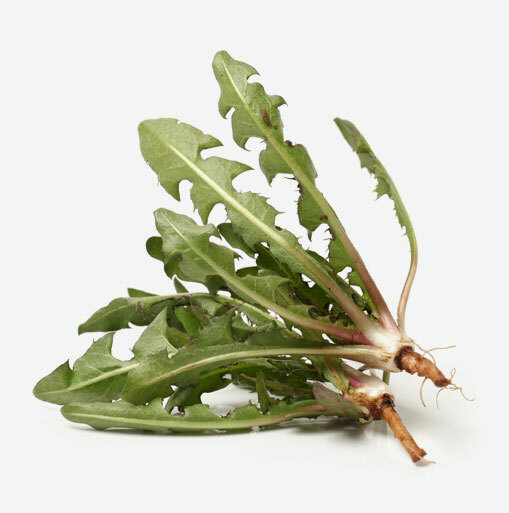 Dandelion greens are also served with a hot dressing in order to wilt it. If you want a healthier version, try dandelion greens steamed and tossed with roasted, mashed garlic, some fresh lean prosciutto shredded and extra virgin olive oil. They can also be used as a substitute for spinach, Swiss chard and kale in almost any dish.